Slapton is an ideal location for the study of butterflies and moths. 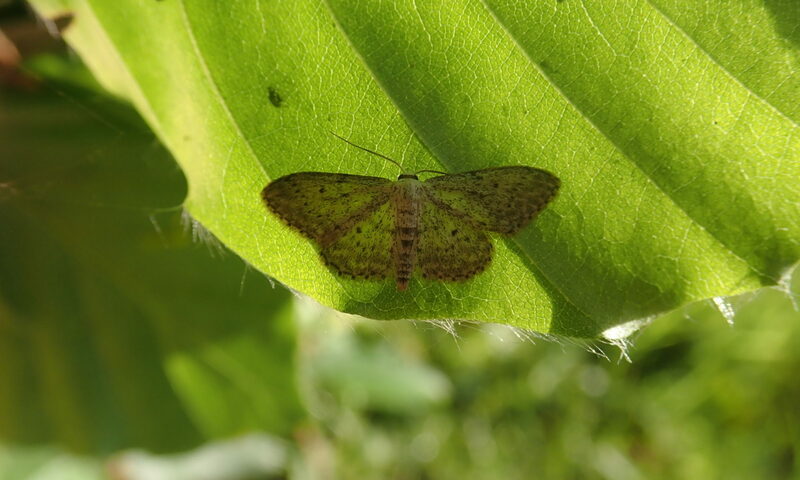 The wide variety of habitats – woodland, reedbed, maritime grassland and coastal cliffs – will allow us to see some of the most attractive moths and butterflies in a range of beautiful locations. This course will appeal to anyone wishing to know more about them, and will cover how to identify the different species, their varied life-cycles and natural history, and how to help record and conserve them. Moths: contrary to popular opinion, they are fascinating creatures, often brightly coloured, and they won't eat your clothes (with a very few exceptions)! Come to this talk at Chesham and District Natural History Society to find out more. Learn about insects - how to find them, how to identify them, what they can tell us about habitats. Includes visits to Surrey Wildlife Trust nature reserves. Book your place via FSC. This one day course provides an introduction to micro-moths; their identification, natural history and conservation. This course will help you sort out the different groups, and learn how to find and record them. This course is aimed at anyone with an interest in moths. Bees, hoverflies and other pollinating insects play an enormously important role in natural habitats and agricultural systems alike. This course introduces the insects that play a role in pollination, helping you to recognise them, understand how they interact with flowering plants, and find out how to play your part in conserving them. This course provides an introduction to moths; their identification, natural history and conservation. Many moths are brightly coloured and distinctive, while others are less easy to identify. This course will help you sort out the different families and groups, and learn how to find and record them. We will demonstrate moth traps, and look for day-active species. Course for BBOWT "Develop Your Skills" series. Please contact BBOWT for details. A wide variety of butterfly species can be found in the attractive grasslands and woodlands of the Chilterns. We will help you recognise the different species, learn how they depend on their habitats, and find out how you can help conserve them. Butterflies are beautiful and fascinating creatures, and good indicators of the health of the environment. Around 30 species are resident in London, with others turning up as occasional migrants. This course provides an introduction to butterfly natural history, identification and conservation, using a mix of indoor activities and presentations, plus fieldwork observing butterflies in the varied habitats at Bushy Park. Hoverflies, houseflies, fruit flies, soldierflies, bee-flies, craneflies, and more: flies are all around us, but are often overlooked or even actively discouraged. This course will provide an introduction to identifying Diptera, using photos, specimens and microscopes to explore different fly families and learn how to recognise them.